Hello Steve, hopefully, “ElizaLin” will FINALLY be delivered to my backyard this coming Saturday! The posts that I will be making in the near future will be of what work I have done to get the boat here. Stay tuned! HI, I have Just taken over ownership of GH 31 ‘Old Cararact’ ? 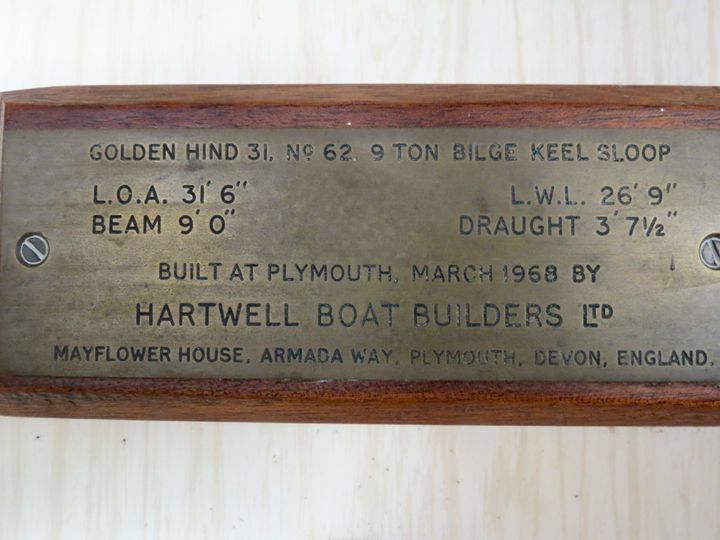 sail no 18 – built by Hartwells in 1967, I am looking to restore her, as you are with her sister ship. This is wonderful news! Thank you for sending a message to me. I have not taken the time to update my website here of what work I have done to date, (That can be a full time job in itself! 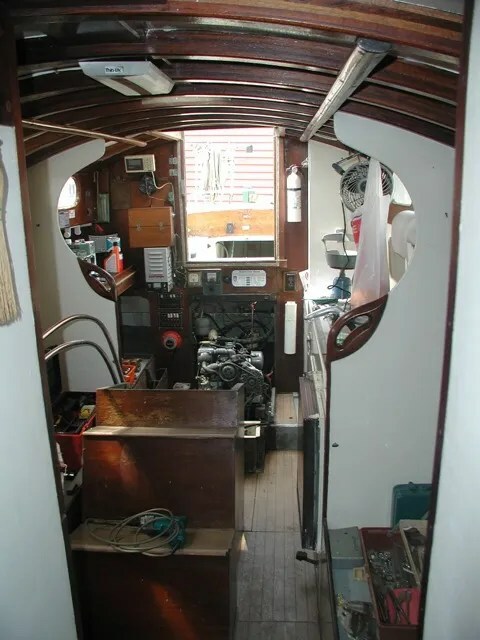 ), but: All of the plumbing, through-hull fittings, electrical systems, engine, and fuel system have been removed from the boat. I have successfully driven out the keel bolts and I have jacked up the hull off of the cast iron ballast. 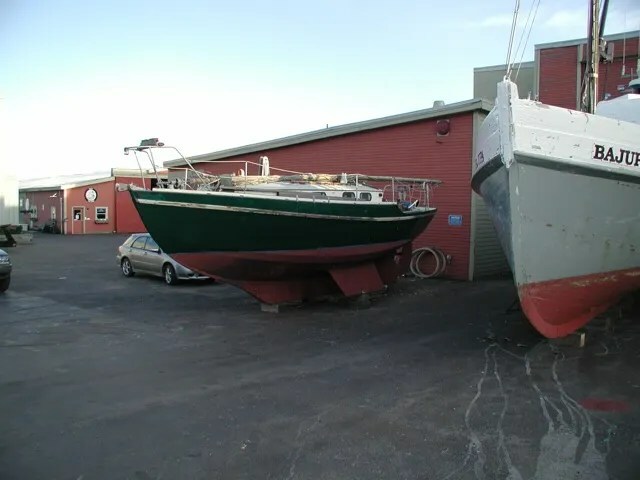 All deck hardware has been removed. The V-berth area has been removed too. 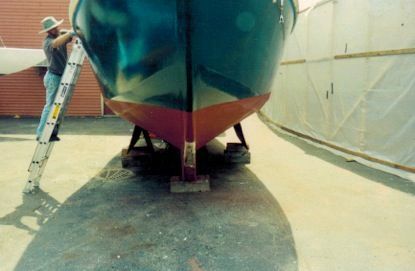 My goal for this summer is to: jack the ballast down to the ground and move it out from under the hull; replace ALL of the deadwood aft of the ballast along with keel timbers too. I am currently restoring the rudder which entails designing and fabricating new hardware to hang the rudder off of the transom. Most of what I mention above can be found on my Facebook page. I would like to stay in touch with you! How Can I send you Photos without postinmg them on the internet? There are two things that you can do. You can email me images directly, (Using the email address here: blacklabadventures@gmail.com), or you can register for one of the several image hosting sites and forward a link to me from that. If you send images via personal e-mail, it would be great if you would reduce the resolution sze to something like; 720 x 540. That way, the images will take up less bandwidth (on your end and on my end.). The images you see on this website are actually hosted on Photobucket. Technical “smoke and mirrors” make them show up here within my posts. I have over 50,000 images uploaded to Photobucket. If I want to, I can send a link to someone of a photo album that I created on Photobucket. I can make the album “private” if I chose to and protect it with a password as well. Doing something like this takes the least bandwidth for both the parties. I hope that some of this info helps!